Often, when parents can’t agree on a custody or parenting time plan, they will choose to hire a custody evaluator to make a recommendation. A custody evaluator is usually a psychologist, trained in child development, who can issue a proposal to the parties and the judge as to what they think is best for the children in a particular case. Sometimes this process can be very beneficial, but we have also seen it become a problem in some cases. This blog discusses some of the pros and cons of hiring such an evaluator. 1. Custody evaluators can often help avoid trial by making settlement of the case more likely. It may be that both parents feel strongly about a specific plan being best for their children, but completely disagree about what that should be. By hiring a trained professional to come in, listen to both sides, and issue a recommendation, it can sometimes help one person to change their belief about what is best. Also, a custody study will often be given a lot of weight by the judge so it may be daunting to fight the recommendations made, making it more likely the parties will choose to agree to the report’s findings instead of fighting it in divorce court. 2. When done correctly, a custody study can help both people feel like they were heard, without having to go through the stress of a trial. 3. Sometimes it can help you get specific evidence considered that might otherwise be inadmissible in court. The evaluator is not bound by the same rules of evidence as the judge is, so they can listen to things that the judge might be prohibited from hearing in a more formal setting. 1. Custody studies often take an extremely long time. Most evaluators take between 4-8 months to complete a study, during which time the stress level continues to rise, and the parties continue their battle. 2. They are expensive. It used to be you could find a good evaluator for around $3,000. Nowadays, the cheapest you will find a qualified evaluator for is $6,000, and the best run up towards $8,000 a study. This doesn’t even include the cost to have them testify if the case doesn’t settle before court. 3. 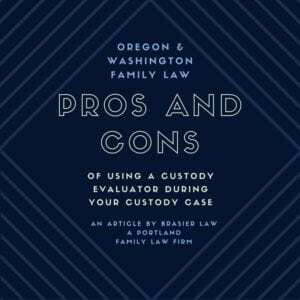 There are only a few custody evaluators our Portland family law firm trusts to do a quality job. My experience is that more than half of the evaluators I have used, have made significant mistakes in their process or conclusion that results in what I have found to be a bad recommendation. Sometimes that has helped my clients, sometimes it has hurt them, but these anecdotal percentages should give you a bit of pause before jumping in and assuming you will get a good work product no matter who you use. 4. Judges often will give a lot of weight to an evaluator’s recommendations. It makes sense for a judge to defer to a professional to some degree. However, when the evaluator does a bad job, it makes it very hard for the losing person in the evaluation process to get past the presumption that the custody evaluator is a qualified professional whose work should be given great weight. In summary, if you are wanting to have a custody study done, be sure to do your homework about which evaluator to use, and really think through whether you need one performed. This is not a process Brasier Law often recommends without thoroughly thinking through the benefits. We recommend cases be looked at closely with the help of a good Oregon divorce attorney before deciding it will be a risk or benefit to a particular case. This article is meant to be informative, but not to be taken as legal advice. Tom Brasier is a highly experienced Oregon divorce attorney practicing in the greater Portland area including Clark county. 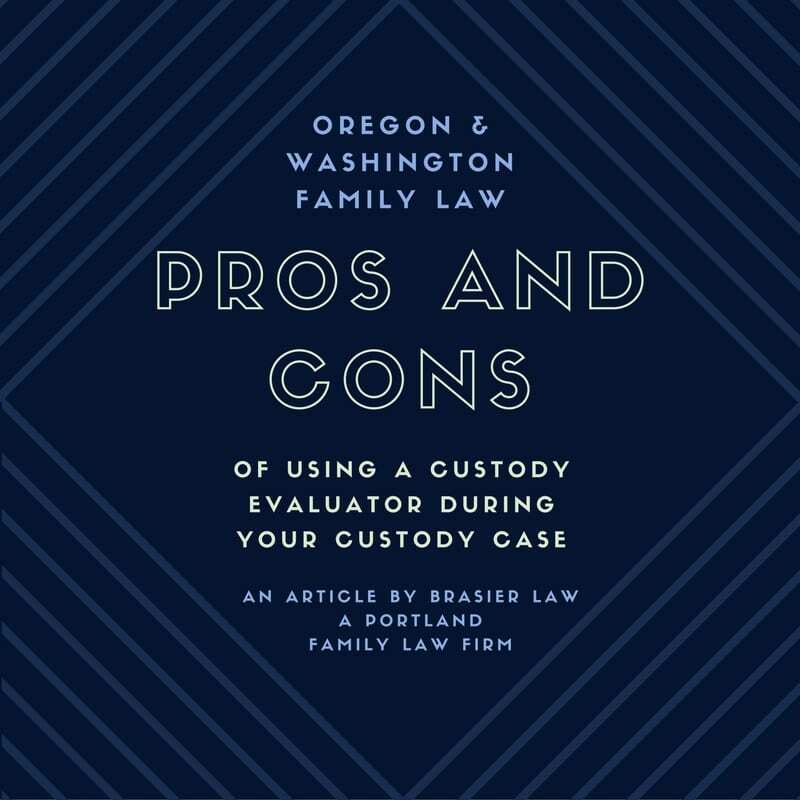 Brasier Law specializes in family law for Oregon and Washington focusing on contested and uncontested divorce, custody, and protective orders. 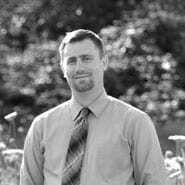 You can reach Tom at 1 (503) 855-4777 or by using the contact form below. We would love to schdule a free consultation to discuss how we can help you with your family law needs. Our family law attorney will get back to you as soon as possible to discuss your needs. We have offices in Portland and serve Oregon and Washington. Thank you for your interest in our firm. The use of the Internet or this form for communication with the firm or any individual member of the firm does not establish an attorney-client relationship. Confidential or time-sensitive information should not be sent through this form. What Does it Mean to Find the Best Divorce Attorney?